Enjoy nature from your roof covered lanai and private back yard just off the sunny great room and have a family dinner in your warm dining area overlooking an immaculate kitchen ready for entertaining! An inviting entry welcomes you into The Seaview! The beautiful front porch entry with stone accent columns opens into the open 3/2, split floor plan. This home boasts an open great room and dining space just off of your chef’s kitchen, fully equipped with a stunning stainless steel appliance package, granite counter tops and designer lighting. 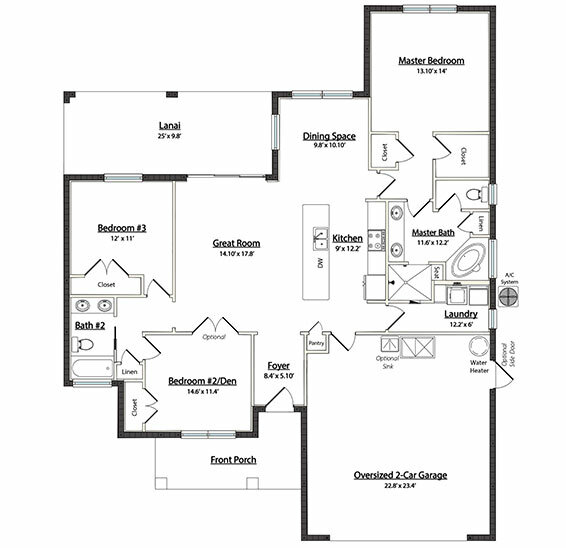 Relax in the spacious master suite with roomy walk-in closet and luxury bath including dual vanities, garden tub, tiled shower, linen closet and closeted toilet. 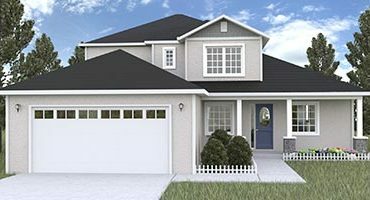 Your guests will enjoy two beautiful bedrooms and a shared bath located on the opposite end of the house and with the oversized 2-Car garage you will have plenty of extra space for a work area and storage. Immaculately presented new construction available now, in Diamond Ridge Subdivision just outside of Ocala, Florida heading toward Belleview or on your home site!